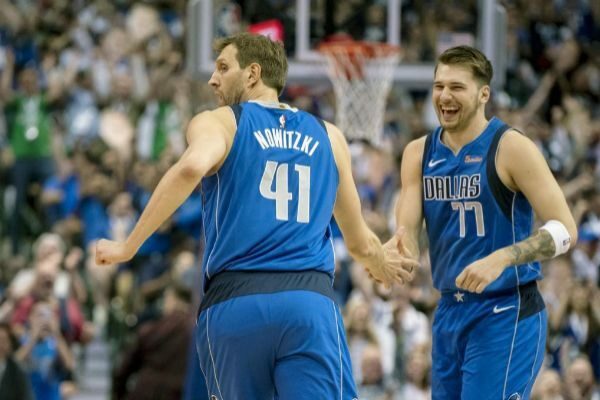 Luka Doncic: "I did not expect to play so well in my first year"
Slovenian base Luka Doncic has rated his first year in the NBA as "incredible", where he has "had a great time" wearing the Dallas Mavericks shirt, helped by the fact that he "did not expect to play as well" in his debut in the American league and convinced that, after being out of the 'playoffs', next season " will be different ". "I had a great time, it was an incredible first year, and honestly, the NBA was as I expected, obviously I did not expect to play so well, but I knew I could play here and I saw a lot of NBA when I was in Europe. less as expected, "said Doncic in statements provided by the NBA. As for the award for the best rookie of the course, for which he is clear candidate along with Trae Young , he said he does not think much. "Obviously I want to win, but honestly I do not care, I'm going to go home and I'm going to turn off all my social networks, nobody will find me," Doncic warned. "It's different from the basketball played in the Euroleague , but I always dreamed of playing in the NBA, I'm glad I took that step," he explained about his jump to the United States, where he has lived a "difficult" first year in the collective with the elimination of Dallas Mavericks. "I realized that this year would be like that, but next year will be different, we are building something special and I know that next season will be different," he said. In addition, the Slovenian stressed that he remembers with fondness his time at Real Madrid . "I always keep up to date and I'm attentive to what they do . What we had in Madrid was something special, they're great guys," he said of his ex-companions. BasketballThe Warriors end up insane in extra time: "It has been shameful"